If you are residing in Faridabad and you haven’t visited Agra yet then it is like you have missed one of the most beautiful tourist places near you. It is just a two-three day trip which you can plan even on weekends. The city is the most popular destination place as it comprises of numerous sight-seeing, ancient monuments, gardens, renowned marketplaces and many more. This means that you can enjoy every glimpse at one place. The popular historic city has one of the Seven Wonders of the World i.e. Taj Mahal. The majestic beauty of Taj Mahal has something which you have never expected to see in your life. The smooth and precious marbles will definitely fall you in love with the amazing place. The fine Minakari on the marbles and the proper symmetry of the different things are just wonderful. It is a memorial of love which majorly enhances at the time of dawn and dusk. No one has yet able to describe the beauty of the monument aptly. Agra has many more things to explore than just the Taj. The charm of the place is not just limited to the monuments and forts but it can be seen in every lane and house of Agra. 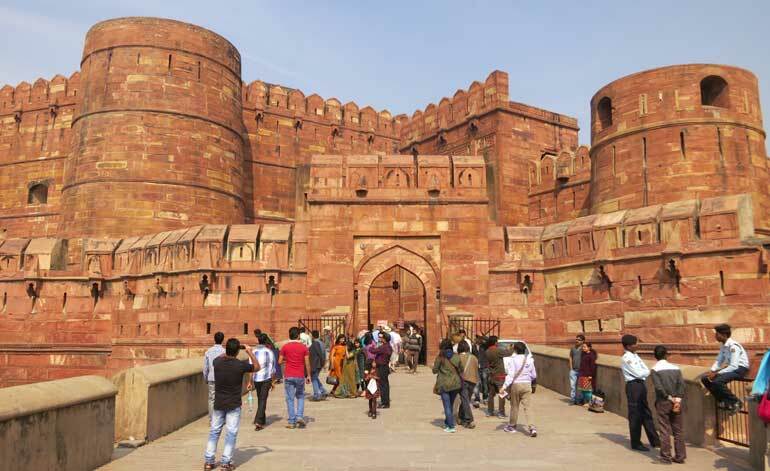 The city also comprises of two popular UNESCO world’s heritage sites namely, Agra Fort and Fatehpur Sikri. 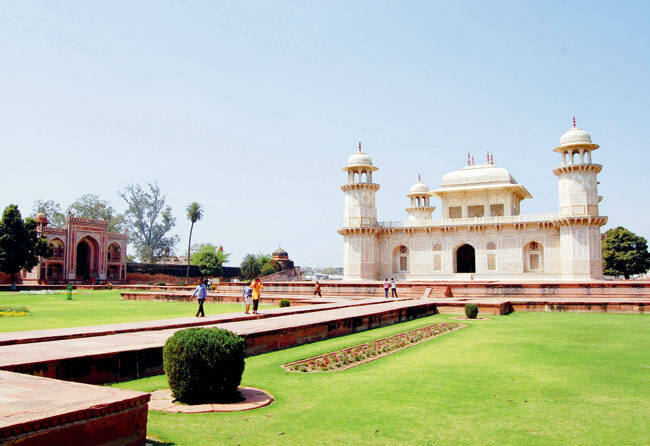 The crescent shape of the Agra forts grabs the attention of numerous tourists. In Agra, you can also explore the clean, tidy and flawless mosques made up of white marbles, the hall of Public Audience i.e. Diwan-e-Aam, Motia Masjid, Diwan-i-Khaas(hall of private audience), Khaas Mahal, Jahangir’s Palace and Sheesh Mahal. To book your cab online in Faridabad for some other city or place. One of the outstanding evidence of the Mughal Empire in the city is the “Fatehpur Sikri”. The place is also known as the “City of Victory”. The place comprises of series of palaces, public buildings, and mosques like Itimad-ud-daula’s Tomb, Chini Ka Rauza, Mariyam’s Tomb, Sikandra which clearly indicates and amplify the Mughal architecture. If you have been to the Delhi’s Jama Masjid, never forget to visit Agra’s Jama Masjid too. 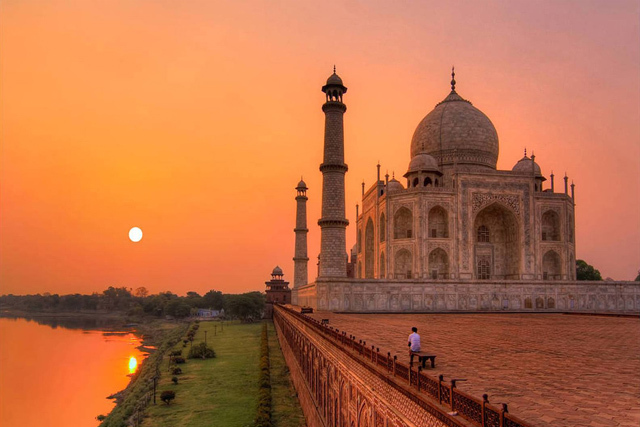 If you think that you would be impressed with the majestic beauty of the Ancient Monuments and Forts, then wait until you have reached the wonderful, enchanting and marvelous gardens of Agra. The city offers a variety of “baghs” where you can relax for few hours once you are tired of your sight-seeing journey. You would be surprised to know that these gardens also have history and rich past of Ancient times. Some of the few popular gardens of Agra are Soami Bagh, Mehtab Bagh, Ram Bagh and Samadh and all are really very beautiful in their own way. Isn’t it amazing to spend your weekend in an amazing way. So, what are you waiting for, book your Cab now with Faridabad Taxi and explore the amazing city for a wonderful experience.